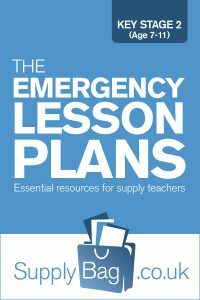 These emergency lesson plans for Year 5 and 6 History are only to be used by supply teachers who are faced with no planning or easily accessible resources. Also to be used following the guidance notes here. What was it like for children living in Victorian Britain? Key influence on children's lives in Victorian times was Dr Barnardo. He raised over £3m to establish a network of Homes to rescue children from the streets, more than 60,000 in his time. Gave them care and life skills training. Homes has not existed before. Empathise with a child on the streets (orphaned, excluded from home because of poverty/disability) and write to Dr Barnardo thanking him and telling him what differences it has made to your life. Children lived in Homes with other children, and also went to live in Homes with families, like the foster care we see today. What legacy has Barnardo left for modern Britain? How has life in Britain changed since 1948? Write extract from a diary of your mother/grandmother as a child, include pastimes and reference to music, then write your own typical diary entry for a night. Who were the ancient Greeks? Find information in a resource book on the Greek gods. Read aloud to children information on different gods, their symbols and their responsibilities in the world. Children to create a new Greek god specifically for modern day, draw and describe. How do we use ancient Greek ideas today? Look at Greek language origins, prefixes and suffixes geo-, -ology, photo-, phon-, tech-, and -phobia and their meanings. How can we find out about the Indus Valley civilisation? Children may be studying other non-European societies such as Aztecs. Ideograms: symbol in picture-writing representing idea of thing; any symbol universally recognised like emoticons they may use on MSN Messenger. Indus Valley people had an ideogram of a . Draw simple designs on board and ask children to vote for what they think it could represent. Look here: http://www.bl.uk/cgi-bin/ideogram1.cgi for ideas based on Chinese characters. What were the effects of Tudor exploration? Effects are positive and negative (tobacco, racism, war, potatoes, maize, more accurate maps.) Children could write a poem: Life Without Potatoes! What can we learn about recent history from studying the life of a famous person? John Lennon/Lady Diana what can we learn about music/the media/promotions/fashion/public sympathies from the lives of these people?